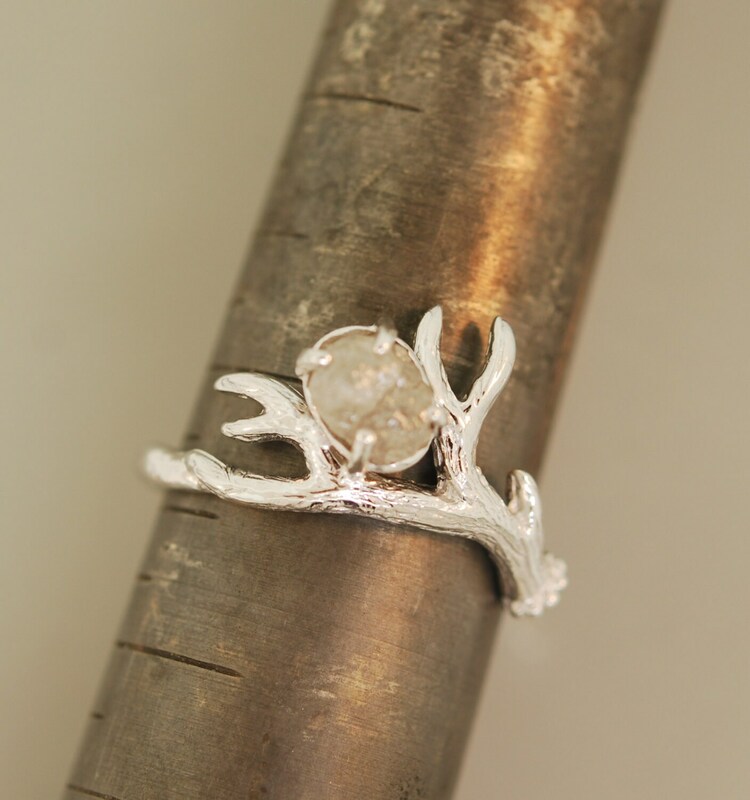 Beautifuly detailed these white gold antlers also feature a rough natural diamond. The rough diamond is approximately 1.25 carats and measures around five to six mm. Each stone is unique and will vary but quality will not. 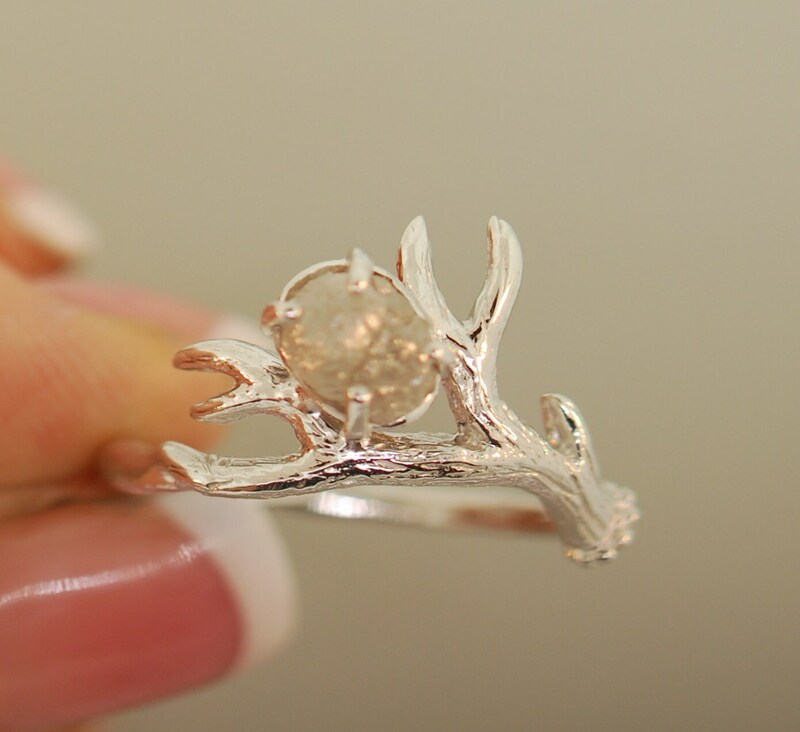 I can make in white gold, yellow gold, rose gold, and sterling silver. You can choose from the drop down menu. The ring in the photos is 14 karat white gold. 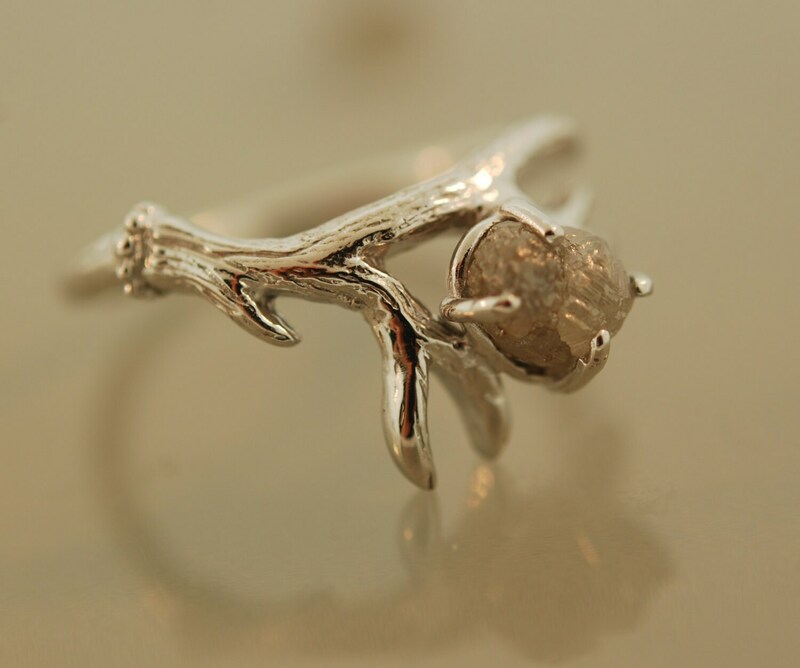 Here is a link for the band that goes with this ring. 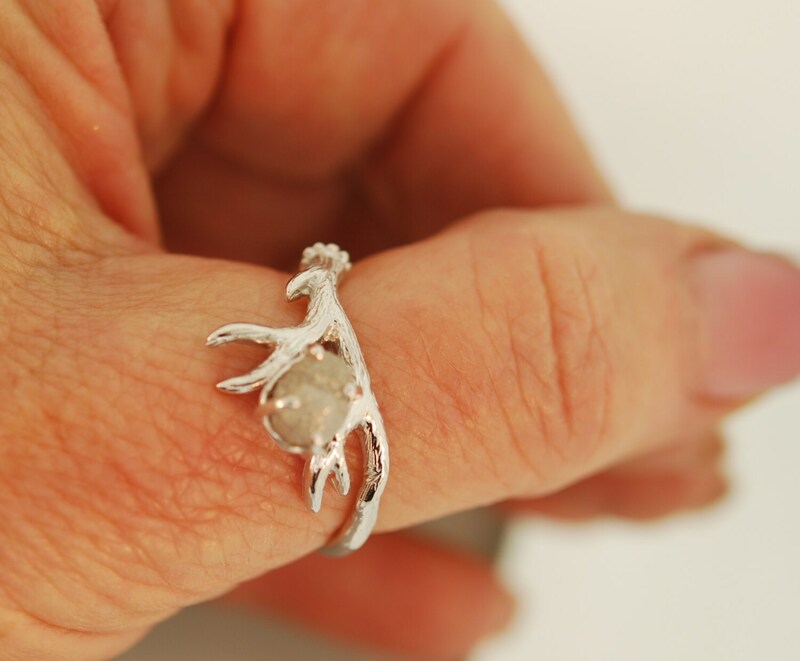 https://www.etsy.com/listing/523493772/antler-band-2-antler-ring?ref=shop_home_active_19Please email me with your ideas. and comes through legitimate sources only.